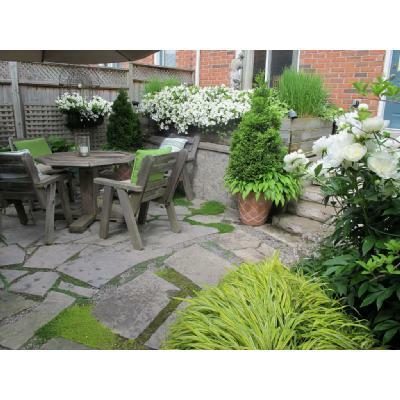 Modern dazzling summer planters of white wave petunias and green hostas and grasses for backyard patio. 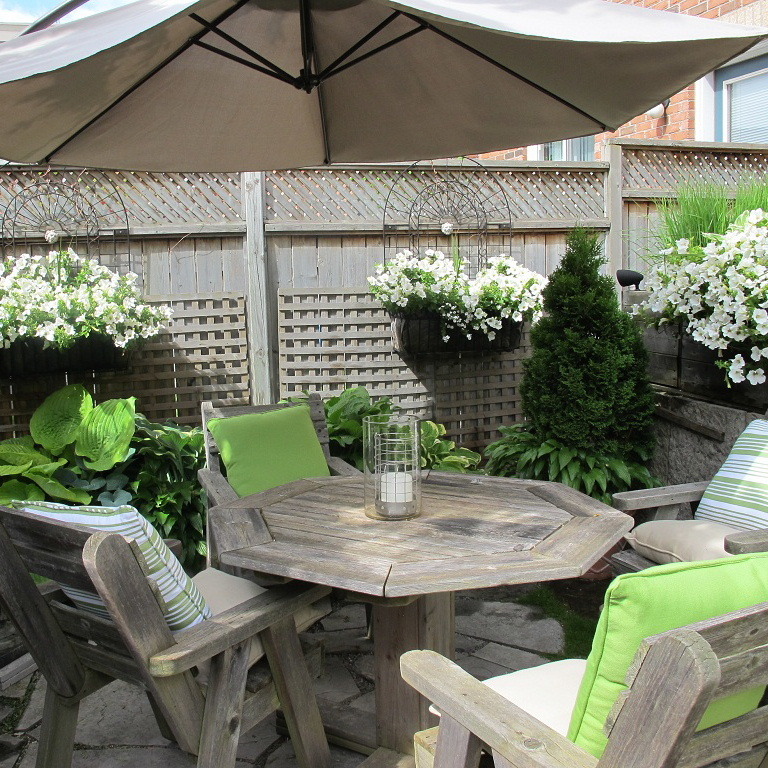 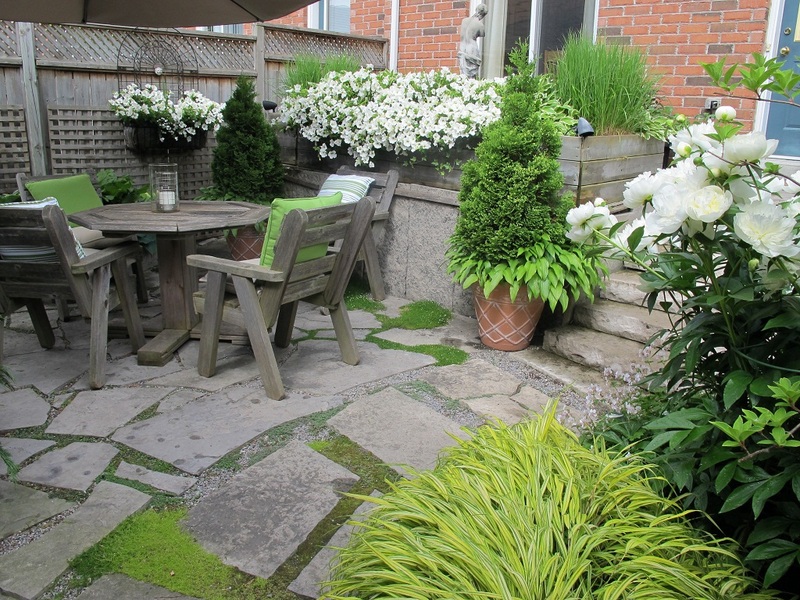 Lush summer decoration of the small backyard patio. 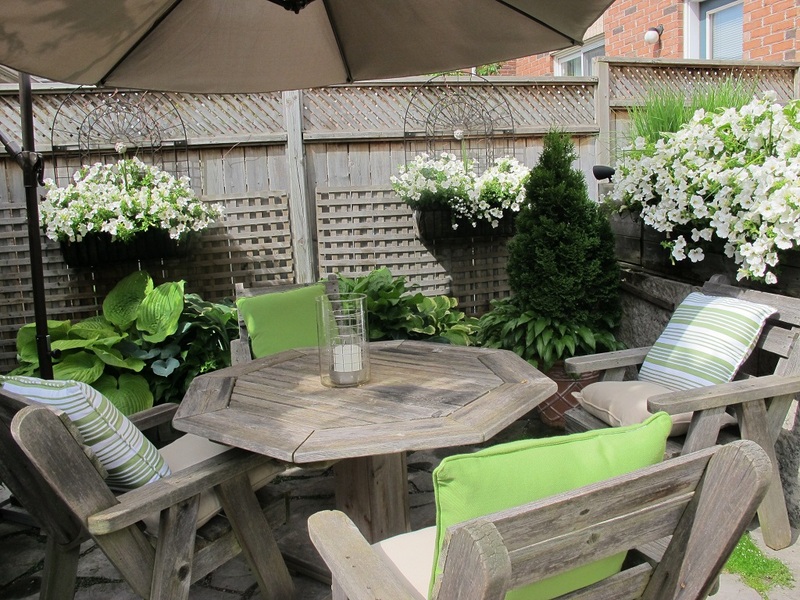 Summer planters installation and service in Toronto and GTA. 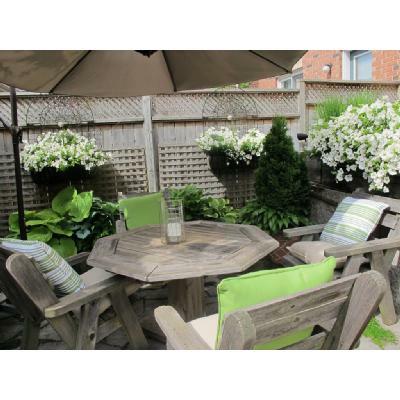 Enjoy mobile catalog of elegant Toronto planters from city chic floral and horticultural boutique. If you need any assistance please call our Toronto flower shop.